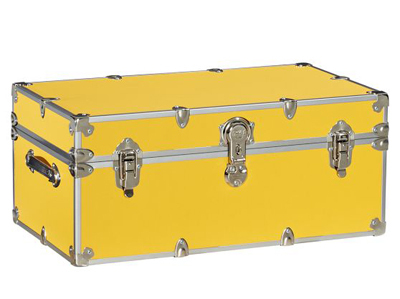 This triple-threat Yellow Dorm Trunk gives you storage, extra seating and a lounge table in one. It’s built with a sturdy base, a hardwood interior and a new exterior that lets you apply, remove and reapply stickers, decals and more. $199. Buy here.